It seems that this month we have had a number of new clients popping down to the waterfront to sample our coffee and discuss their digital projects and requirements. As we near the start of June, and the possibility of summer, we thought now might be a nice time to have a catch up and tell you about a few of the businesses we’ve begun working with this month. Coquet Cottages have built up an enviable reputation for luxury self catering accomodation over the last 18 years. They have an impressive portfolio of beautiful properties scattered throughout Northumberland, personally managed by a team of 4, based in the picturesque village of Warkworth. Everything about the Coquet team, their exceptional properties, their customer service and the attention to detail is 5 star. It’s therefore important that the website, as their ‘shop front’, makes this evident from the moment that a user lands on the homepage. We’ll be taking a lot of the stunning photography that can already be found on the current Coquet Cottages site and making it much more of a feature and a selling point on the new site, while highlighting the team’s passion for creating the perfect holiday in the picturesque Northumbrian countryside. Wonderlawn supply and fit premium artificial grass that’s so real-looking that some of their products even look like they’re nearly ready for a good mow. It’s been featured in Elle Decoration magazine, among other places, and is so popular over the length and breadth of the country that chances are you’ve probably walked past some and not even realised it wasn’t the real deal. We were approached by their locally based head office to freshen the site up and to improve it both for the experience of human traffic and for Google’s robots. We also agreed that currently the site doesn’t reflect the high end product or the specialist team behind Wonderlawn. We’ll be working with the guys at Wonderlawn to make big changes to the site and create a better selling platform for the brand, to get those enquiries rolling in. Bowson Estates, based in Jesmond, have recently expanded their portfolio and now offer properties for sale, as well as to let. This exciting development prompted directors, Martyn and Harvey, to get in touch with us earlier in the year to discuss a complete overhaul on the old site. 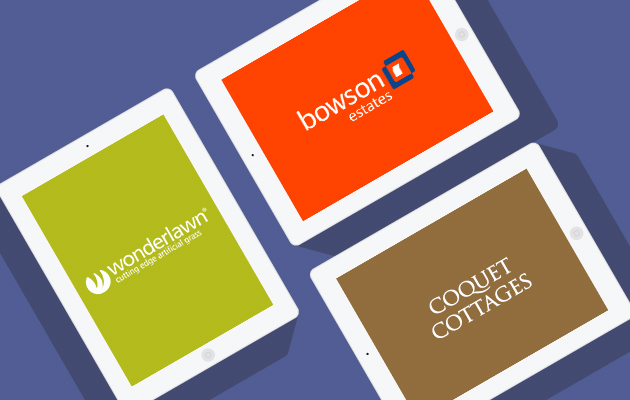 The new site will move the whole Bowson brand on and is set to include details on what sets Bowson Estates apart, a focus on clear branding and calls to action, and be a fully responsive design, enabling users to be able to view the properties easily on their handheld devices. We’ll plan to improve SEO and tie in blog posts which are currently not feeding back to the main site, and refresh email marketing which isn’t perhaps as effective as it could be. We will also, of course, be looking creating a new space for the properties that are for sale to be presented in an engaging way, while building a backend system to handle these new details and enquiries that’s easy for the sales team to use. If you’re interested to find out what digital solutions we can offer you, from websites and email marketing, to apps and extranets, then get in touch with us today!